Tennis season started with the very first Grand Slam of the year in Australia and this is time of the year when we take a look at some of the finest up and coming young players in women tennis. Ana Ivanovic and Maria Sharapova are widely regarded as the hottest female tennis stars for quite some time. 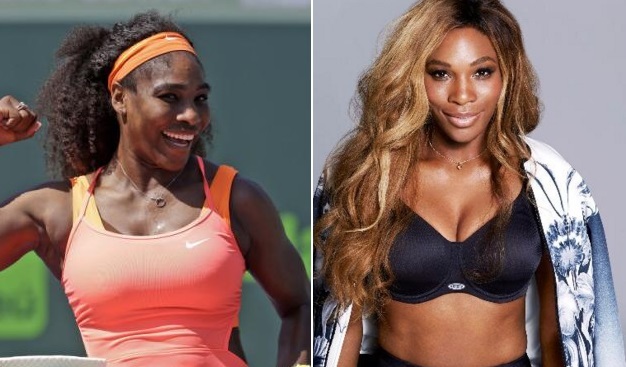 But as we move into 2016 tennis calendar alot of new names has taken over women tennis at the highest level. We take a look at some of the hottest stars currently active. 19-year old Belinda Bencic burst on to the tennis scene back in 2015 winning two WTA titles and reached top 10 in WTA rankings. She has made steady progress since than and consistently making it to the second, third rounds of grand slams. We sure are going to see her for a longtime on tennis scene. 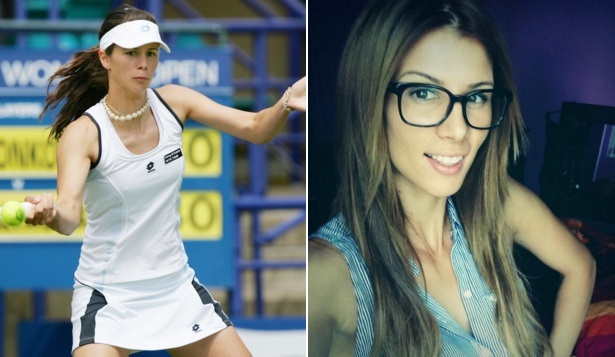 28 year old Tsvetana Pironkova has been around for a while who turned professional back in 2002 and her biggest achievements include defeating Sareena Williams three times at the grand slam events. She has also won 6 ATP titles and her career prize money stands at $3,57 million. 20-year old Donna Vekic has been on the tennis professional scene since 2012 but failed to make a big impression so far. However she is making steady improvement and won 1 WTA and 4 ITF titles. 21 year old Laura Robson is the highest ranked british female player and has been making steady progress at the elite level of tennis. She won the silver medal playing alongside Andy Murray back in London Olympics 2012. Her best finish in grand slam was in Wimbledon 2013 where she reached round 4 and she is pretty hot to say the least. 23 year old Camila Giorgi is Italian and also has Argentinian background currently ranked world no.54. Although she has failed to live up to the expectations attach to her since she became pro. Her career best grand slam finish was back in 2012 Wimbledon where she reached 4th round. She is widely regarded as one of the most beautiful tennis stars in the world. Alot was expected of Mandy Minella when she turned professional back in 2001 but she never lived up to the expectations and now at 30 years of age she is in twilight of her career. But hey she is not on this list because of her tennis credentials. Turned professional back in 2006, Sabin Lisicki never really made the cut at top level. Her best performance came in 2013 when she reached the final of Wimbledon. Having said that she has earned more than $6 million in prize money and won 4 WTA titles. One of the hottest tennis stars currently playing at the highest level, Sorana Cirstea hails for Romania and reached her career best world rank.21 when she reached quarter finals of french open back in 2009. Since than she has been below par but has earned a massive $3.5 just in career prize money. Since turning professional in 2006 she has won 17 WTA titles including two wimbledon titles in 2011 and 2014. Currently ranked no.6 in the world her best career ranking was no.2 in 2011. Hails from Bratislava, Slovakia Dominika Cibulkova turned professional in 2006 and went on to win four WTA titles. She also reached her career best ranking No.10 after reaching the final of 2014 Australian Open..
Hantuchova has been around like forever. She has kind of rediscovered her form of late currently ranked no.15 in women singles Hantuchova was once regarded next big thing in women tennis. She achieved her career best ranking of no.5 back in 2002 at the age of just 18 year old. She has won all four grand slams in mixed doubles and also was part of Slovakian team who won the fed cup in 2002. One of the finest up and coming tennis star, Elina Svitolina hails from Ukraine and regarded as potential grand slam champion in couple of years. She has already won 4 WTA and 6 ITF titles and her best performance in grand slam came back in 2015 when she reached quarterfinals of French Open. 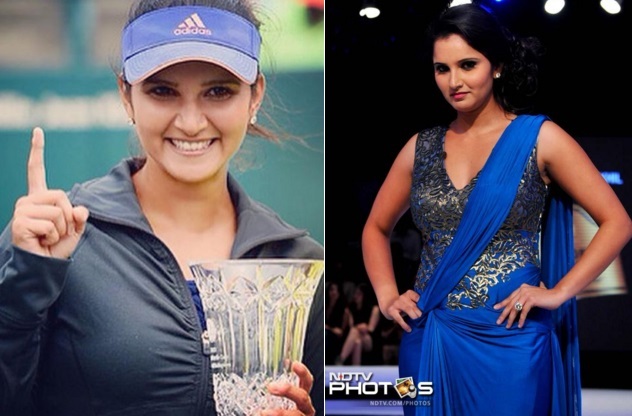 She holds the celebrity status in her native India after becoming the msot successful female tennis star of the country. She has inspired generation of girls in sub-continent. Although she never really hit the ground running in grand slam singles but she has won number of grand slams in doubles and mixed doubles categories. Born to Polish parents Wozniacki turned pro in 2005 and achieved the world no.1 rank in women tennis without winning a single grand slam title back in 2010. She has reached the final of US open twice in 2009 and 2014. Adidas signed massive endorsement deal with Wozciacki but since than 25 year old has failed to live up to massive expectations attach to her. Now she is more of a poster girl of tennis. 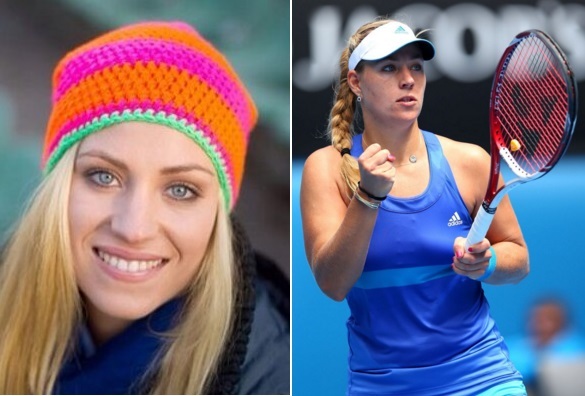 A late bloomer, Angelique Kerber hails from Germany and turned professional in 2003. However she started to play the best tennis of her career in late 20s and 2016 was the pinacle of her pro career where she won Australian Open and US Open. Reached the Wimbledon and Olympic finals. Incredible story of a beautiful girl who has already earned over $19 million in prize money. Since turning pro Eugenie Bouchard has made quite some progress at highest level in tennis. She reached Wimbledon 2014 final after starting the year with semifinal berths in both Australian Open and French Open. Her success on and off the field has made her a major name in tennis and she is widely tipped to become new Sharapova of tennis. Not much to say here apart from 69 WTA titles including 21 grand slam titles where she won every grand slam for atleast 4 times. She is surely the greatest female tennis player of all times and still going strong at the age of 34. She has been in and around world rank.1 since 2002. 2015 was one of her best years winning the first three grand slams and currently ranks no.1 in women singles. She has also won gold in Sydney 2000, Beijing 2008 and in London 2012. Ivanovic turned professional in 2003 and reached the peak of her career back in 2008 when she won the French Open title and also reached final of Australian Open taking here career besting ranking to world no.1. She has won 16 WTA titles but its her looks which brought her massive off the field success with countless endorsement deals as she became face of women tennis alonside Maria Sharapova. Nobody can match the commersial success Sharapova has achieved but she was pretty good on court as well. She won 35 WTA titles inclung all four grand slams and achieved world rank no.1 status in 2005 and since than she remained a top 5 player. what does looks or sexiness have to do with tennis skills/??? comments about black women and beauty intelligent and educated people realize that there are all standards of beauty. Like asians their standard for beauty is different from whites, blacks, indians etc. You cannot compare different races to each because of the standards. Big deal I still say that looks does not win tennis matches. Caroline Wozniacki is not as you write “Now she is more of a poster girl of tennis.” Here in 2017 she has won the most battles of all players. And if you can win 6-2, 6-0 above world rank 1 you can play tennis. Think the page needs updating. // Great Caroline W. fan. No Simona Halep ? You guys dropped the ball !